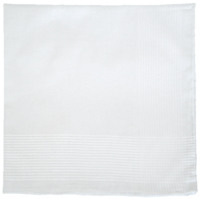 Perfect for the Weekend in your Khakis or Jeans with Intricate White Stripes. 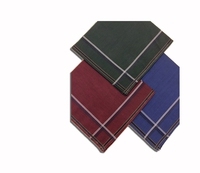 Put it in your Sport coat Pocket for a Coordinated Look. 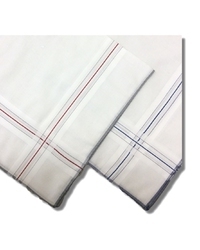 100% Soft Cotton Finished with a Rolled Hem. Made in Italy. Measures 18 inches approx. Priced each. 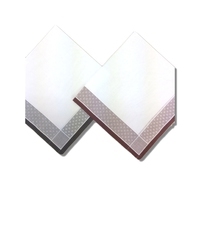 Intricate Boxes are Woven in to this Italian White Cotton Handkerchief in Burgundy and Taupe. It is a Very Interesting and Unusual Design. Measures 18". Priced each. Perfect for any Gentleman. 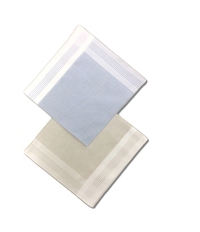 Soft 100% Cotton made in Italy with Narrow Pencil Stripes and Satin Bands Running around the Entire Handkerchief. Available in Burgundy and Blue Rolled Hems and Measures 19-1/2 inches. Priced each. 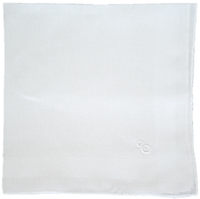 Elegant and classic mens Irish Linen handkerchief. 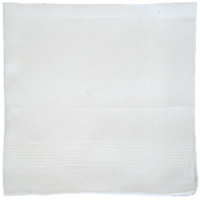 Our finest quality Irish Linen handkerchief, handrolled in Madeira. 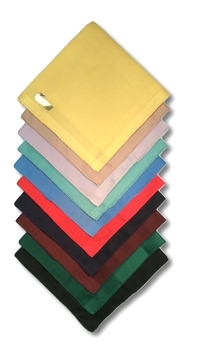 Soft 100% cotton handkerchief with a handrolled hem. 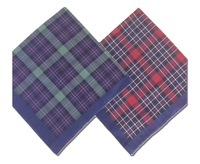 One of our all time best selling handkerchiefs. 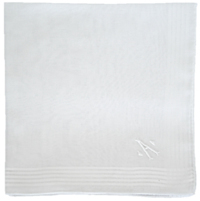 Men's hand embroidered monogrammed linen handkerchief. A classic single letter script initial with a hand rolled hem. Embroidered and handrolled in Madeira. This is definately something to be treasured for a long time. All 26 letters available. All cotton block style initials. 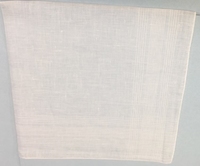 Handrolled hem. 26 letters available.